Get up and get moving with this interactive Farm Talk! 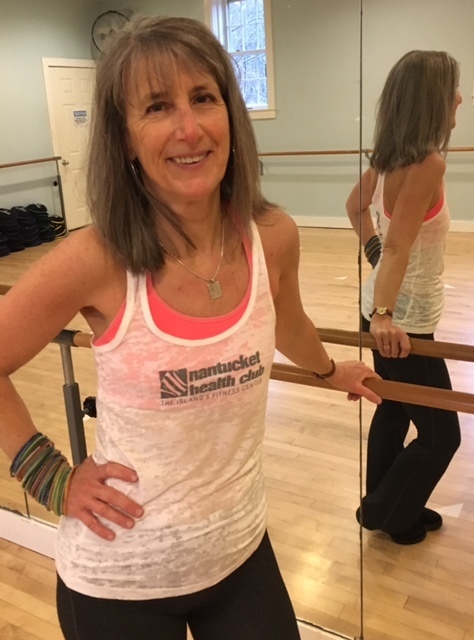 Betsey Minihan will take you through some of the basic combinations to give you a taste of this fun form of exercise. if you have them. This event is FREE for everyone! These gorgeous, dried heirloom beans will blow your socks off. Download the free booklet with lots of recipes and cooking tips! BYOB (Bring your own Bags - reusable shopping bags) and fill out a green ticket to win a spin on the prize wheel! If you are a Friend of the Farm (and why wouldn't you be?) we can now email you your paper receipt after each transaction! This will speed things up at the registers, and will use less paper...win win! If you would like to take advantage of this, please email Whitney! 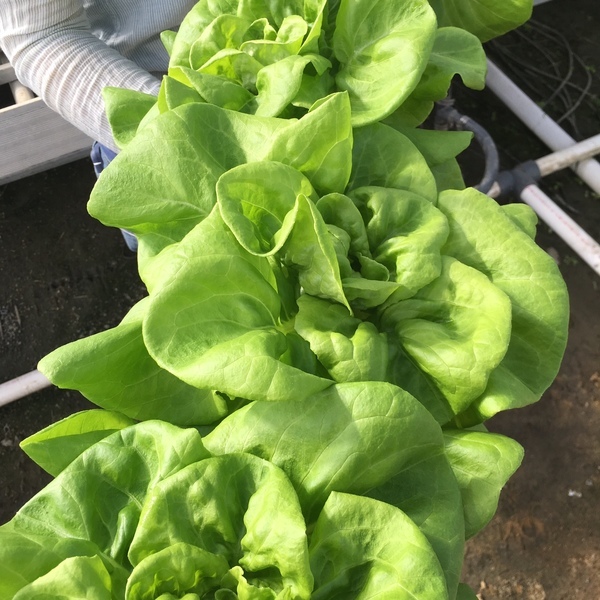 We've been experimenting with hydroponic farming this winter and it has really paid off. While supplies last we'll have bok choy, head lettuce + basil. Plus many varieties of sprouts and wheat grass. Chef Neil has a super simple recipe for our bok choy. The pan should be hot but not smoking hot. thickest parts from the leaves. Add the thick cut Bok Choy to the pan and sauté until tender. Add the garlic and the rest of the leaves and wilt them. so this is your chance to get some great deals with 75% off a lot of items! or throw in the freezer to use later! And in addition, we are making a couple new kinds of hummus! Try the beet, carrot, or traditional...all made from scratch, in-house! Did you ever notice the micro greens in the produce cooler? Try them in salads, on sandwiches, juiced, in smoothies, in an omelet or scrambled eggs. Or toss them on a fresh-from-the-oven pizza! OH YUM! Ooooh - it's getting busy in the greenhouse - soils, garden amendments, garden care stuff like fertilizers are all in stock. And now, it's filling with plants for your spring pots and window boxes. 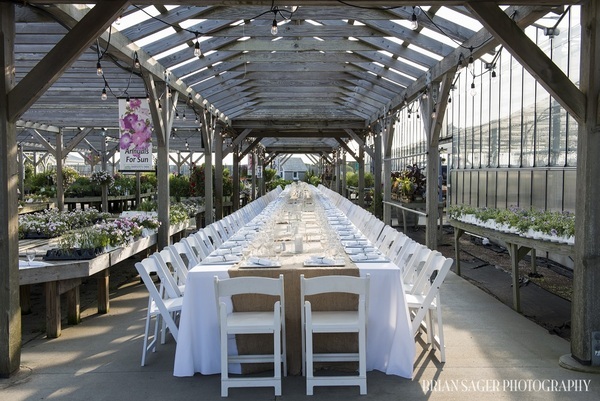 Ranunculus, pansies, and blooming bulbs are all in the garden center, so stroll over next time you are at the farm. The time is now for sowing seeds and planting fall bulbs, and you can find them all in the market! We have a few international interns who we would like to hire and we are trying to find housing for them! We provide housing for a lot of employees but we are looking for more rooms! Don't let the word 'Propagation' scare you! Pete Smith, our Head Grower, will teach you some basic ways to create new plants from from stem and leaf cuttings and bulb scaling. Participants will go home with cuttings and seeds that they have planted in class. Refreshments will be served. 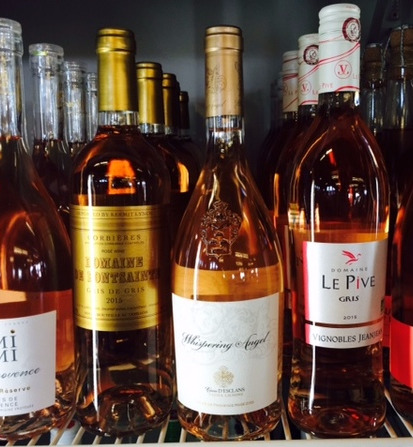 Just look at these beautiful Rosé wines in the cooler. plus some really amazing Rosés!